I'm finding it really difficult to write a review for The Bunker Diary, it is the kind of book that I can't say too much about because I don't want to give spoilers but that makes it hard for me to express my thoughts about it! This is one of those books that will make you think, it makes you question how you would cope in the very worst of circumstances. How would you get through it? Would you fall to pieces or would you find a way to stay strong and hope for the best? Would you be brave enough to fight or would you just curl up and wait for it to be over? Linus has been facing all of those decisions and many more ever since the morning he was kidnapped and woke up alone in an underground bunker. What does his captor want from him? Is there a way to escape? Will be always be alone down there? You get to watch the story unfold by reading the entries Linus makes in his diary and it was a fascinating look into his mind as he dealt with everything that was happening. Once I picked up this book I found it incredibly hard to put it down, I kept thinking to myself just one more chapter and before I knew it I had reached the end. As much as I'd enjoyed the journey I did find myself feeling slightly disappointed with the ending, mainly because I'm the kind of reader who prefers to get answers to their questions rather than being left to guess or make my own mind up about what happened. I had so many questions about Linus's captor and what his goals were and I felt slightly frustrated to get no answers. I reached the last chapter and found myself desperately flicking through the blank pages hoping to find more. The more I think about it though the more that ending makes sense, I just can't see how else things could have played out to a more satisfactory (for me) conclusion. 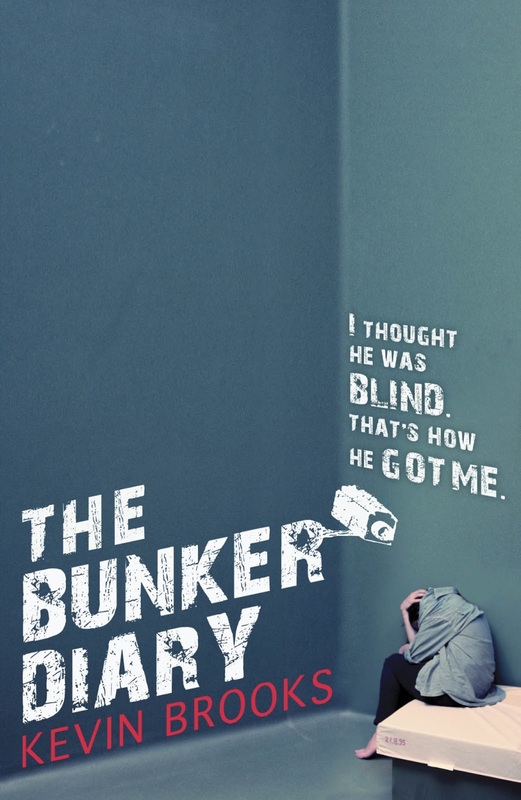 If you're looking for a story that will make you question everything then I'd highly recommend The Bunker Diary, the story is grim, dark and at times terrifying but it is compelling reading and I'll definitely be looking out for more from Kevin Brooks in the future. I finished this last night and absolutely loved it. I usually like to get answers as well but I was actually pleased with the ending - I think it suited the story.